I've been trying to weed through the photos on my computer and coming across some fabulous meals I had that I somehow never got posted to the blog. 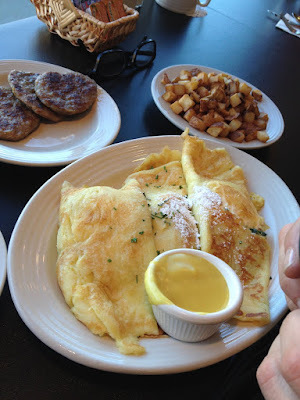 One of my very favorite breakfasts I had was at Stacked in Oak Lawn. My friend Michelle and I stopped there following a book reading/signing of our children's book Into the Night at the Children's Museum in Oak Lawn just around the corner. 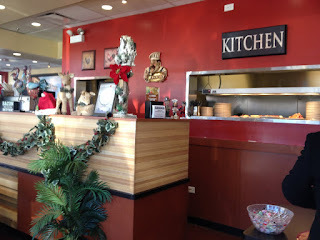 We had to wait a bit to get a table, which to me is always a sign that the place we are heading into is really good. 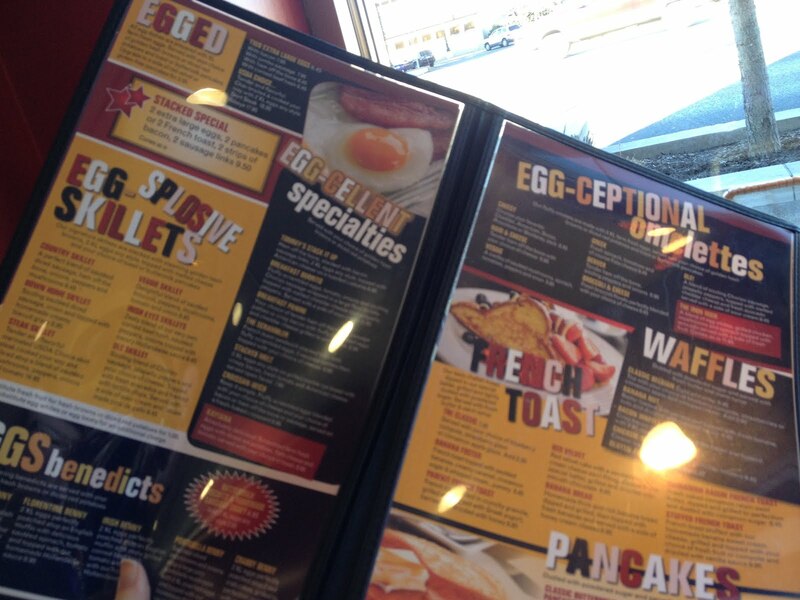 We had a very hard time deciding what to eat. There were a lot of choices and we were eyeing what they were bringing out to people at nearby tables and it was making the decision even harder. The pancakes looked beyond amazing. Michelle went with some crepes and I settled on a skillet. It was probably the best skillet I have ever had. 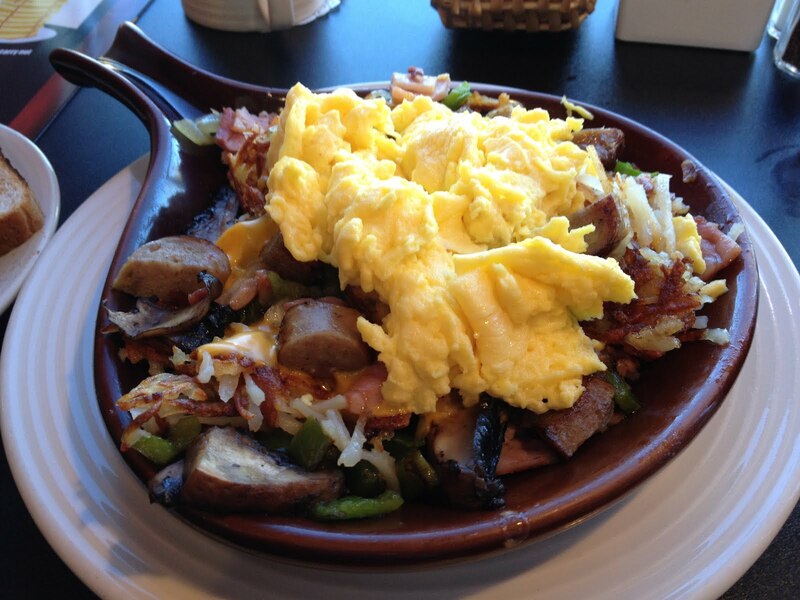 It was the Country Skillet and it was loaded - really loaded. I remember how delicious the sausage was and the pile of perfectly cooked hash browns. 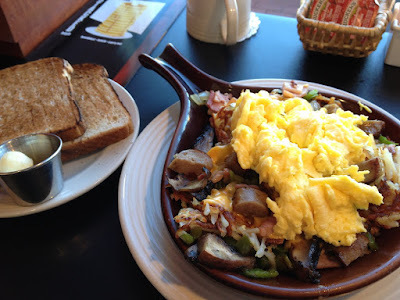 I seriously want to drive out there right now and order up another one of these skillets. It could easily feed two. I ate half and took home the other half for another meal. This is one to truly put on your Breakfast Bucket List, whether you live in Chicago or in the burbs.